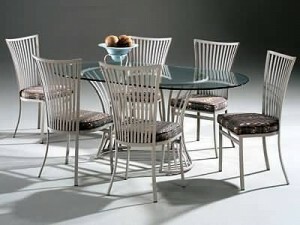 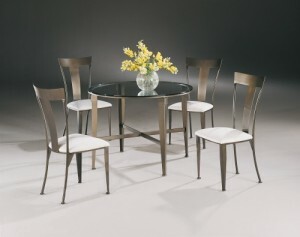 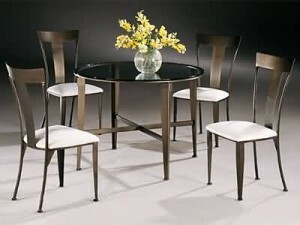 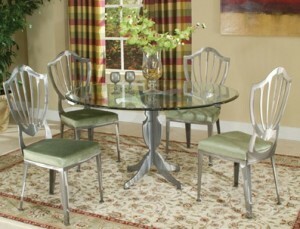 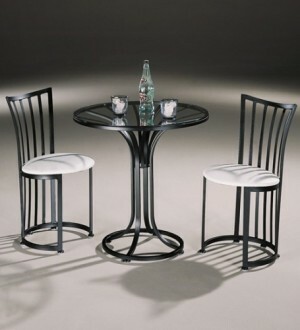 Johnston Casuals dinette sets are proudly made in the USA. 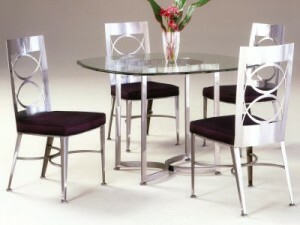 The unique design and contemporary styles of the dinette sets will surely bring the wow factor to your kitchen or dining area. 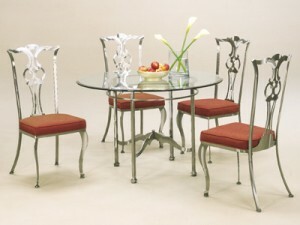 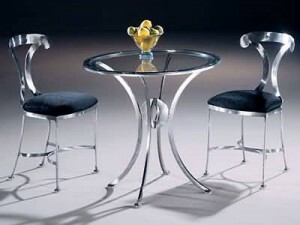 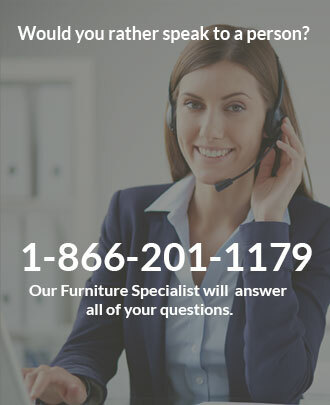 Select from a variety of gorgeous metal finishes and fabrics to get the perfect dining set that is custom made for your home. 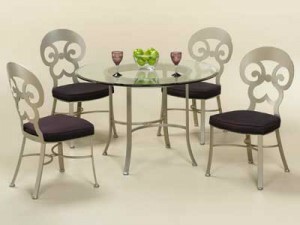 The platinum metal will complement your stainless steel appliances beautifully. 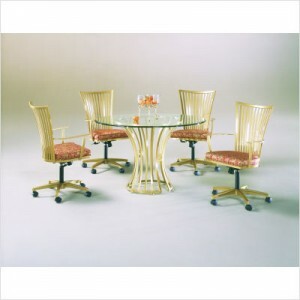 The Genesis collection dinette set is a classic collection that our customers love for the comfort of the chairs and the stunning glass top table.